The King Suite - perfect location in Ocean Springs. Only 1 block to Front Beach! Property 1: The King Suite - perfect location in Ocean Springs. Only 1 block to Front Beach! The Queen Suite - perfect Ocean Springs location only 1 block to Front Beach! Property 2: The Queen Suite - perfect Ocean Springs location only 1 block to Front Beach! Quaint Cottage Between the beach, harbor and downtown. Property 3: Quaint Cottage Between the beach, harbor and downtown. Azalea Cottage - Ocean Springs perfect location! 3 blocks to beach & downtown!!! 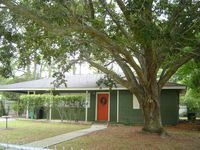 Property 4: Azalea Cottage - Ocean Springs perfect location! 3 blocks to beach & downtown!!! The Orchard Cottage, 2 Blocks To Downtown Os - To The Food, Fun, & Festivities! Property 5: The Orchard Cottage, 2 Blocks To Downtown Os - To The Food, Fun, & Festivities! Refresh your Soul at the Moon Pie Cottage! Historic Downtown, Walk Everywhere! Property 6: Refresh your Soul at the Moon Pie Cottage! Historic Downtown, Walk Everywhere! The coolest cottage in Ocean Springs! 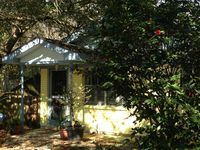 Property 7: The coolest cottage in Ocean Springs! Russell Cottage: Your home away from home. Property 9: Russell Cottage: Your home away from home. The Best Street In Downtown Ocean Springs! Property 15: The Best Street In Downtown Ocean Springs! Downtown Ocean Springs!! Minutes to casinos, golf, shopping and restaurants! Property 16: Downtown Ocean Springs!! Minutes to casinos, golf, shopping and restaurants! Kayak along beautiful Davis Bayou at our nature's lover's log cabin! Property 20: Kayak along beautiful Davis Bayou at our nature's lover's log cabin! This was my second time staying a month at this house. I especially appreciate the closeness to restaurants and nightlife which enable my friends and me to walk rather than drive. The house is clean, bright and comfortable. The owners are very quick to respond and react to any concerns. I would rent this place again. I love the location and Ocean Springs.